← I’m so glad I’m not a fifties housewife! Tomorrow morning (1st Nov) I’ll be escaping from my book prison to cook game with Kieron (of Kieron’s Game) at Penshurst monthly market. I’ve hardly lifted my head from the computer as I finish off two books for publication in the spring so it will be lovely to be out and about and cooking for a morning. I’m keeping it simple as modern game is really so good – tender and full of flavour – that it needs little enhancement so am bringing along jars of my own Quince and Star Anise jelly to serve with seared venison fillet steaks, and cooking pheasant breasts marinated in lemon, garlic and thyme. No time to add recipes for now but I will get round to them once I am back in the world again. Hope to see some of you there…. In the meantime in case you wonder why I’ve been so quiet it’s because I am still finishing off this – a social history of the way we’ve eaten in this country from 1950 to 2000. It’s been totally engrossing to do, rather like going over your whole life at a very fast pace….. 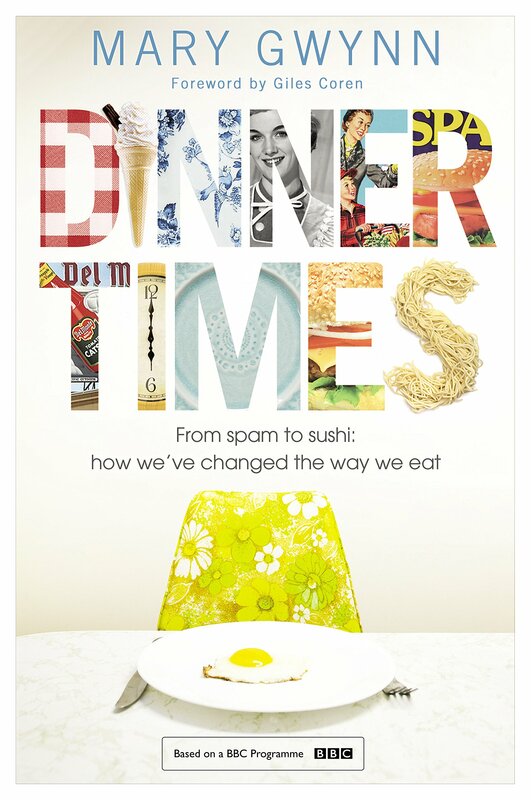 This entry was posted in Farmers Market and tagged BBC2, DInner Times, food social history, Mary Gwynn, spam, sushi, Wall to Wall. Bookmark the permalink.